When you were a kid, you loved camping. You got to spend so much time outside, making new friends and staying up late toasting marshmallows. As you’ve grown older, though, the idea of constructing tents, walking across a field in the middle of the night to go to the loo, and eating baked beans for three nights in a row might have put you off camping. Even so, you know your children would love to go. So what can you do? Well, glamping – or glamorous camping – is the perfect solution. The kids get to experience all the joys of camping, and you get to enjoy comfy beds, decent cooking and bathroom facilities. If glamping sounds right up your alley, then here are our top tips to help make glamping with the family the best that it can be. The first thing you need to decide is where in the UK you would like to glamp. After all, you don’t want to drive all the way to your glamping site to discover it’s in the middle of nowhere and there’s nothing interesting nearby for the kids to do. Make sure your chosen location has beaches, zoos, water parks and the like, and that they’re a short drive away from your glamping site. No matter what time of year it is, you’re going to need plenty of clothes for your glamping trip. The little ones will be running around outside pretty much all day, so they’re bound to get soggy, muddy and dusty. We all know the British climate can be unpredictable too; therefore you need to ensure you’ve got clothes to suit all eventualities. Even the hottest day of the year becomes extremely cold once the sun disappears, so you’ll need to get that fire pit going and put on lots of layers to keep warm if you want to stay outside of your tent gone sunset. Many glamping tents come with wonderful cooking facilities, meaning you can cook up more than just baked beans on toast. Whilst you should take advantage of your wood-burning stove, remember that you are on holiday, and therefore shouldn’t have to slave over family meals for hours on end. 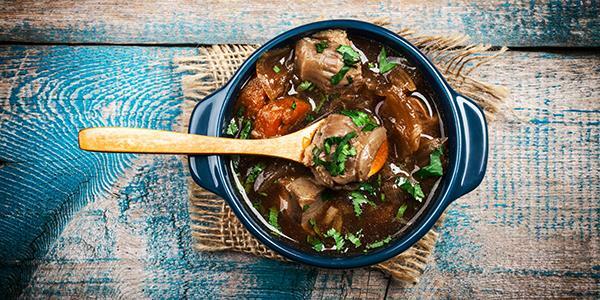 We recommend you stick to one-pot cooking. These tasty, simple meals are perfect for filling up the kids, who’ve been burning energy all day. Plus, you won’t have much washing up to do afterwards either! Here are 50 wonderful and easy recipes you can try. Glamping needn’t just be a family affair - if you’re best friends with the parents of your children’s closest school mate, why not invite them along with you? The children can keep each other entertained in the evenings, and you’ll have a friend to share a glass of wine with. You don’t have to stay in the same tent or even partake in the same day to day activities, but a joint meal in the evening is a lovely thing for both you and your children to come back to. Some days, you might not want to venture to the beach or into town, and that’s okay. Enjoy your glampsite’s facilities and hang out in your beautiful, fully-furnished tent instead. If it’s a rainy day, you could sit by the warm stove and play Monopoly, or if the sun’s out, you can host a BBQ while the kids play tennis. When you’re staying in such a nice tent, you’ll want to get the most out of it. Glamping is the perfect opportunity to get creative. While you’re out and about in the great outdoors you can really allow your creativity to unleash itself. Children will love being able to devise their own fun and games. Why not try den building? With all that access to the great outdoors and secret hiding places, youngsters can use the natural materials around them to build dens and secret camps. Some of the parents may enjoy getting involved as well - let loose your inner child for a while! It is so easy and so enjoyable to get back to nature while you’re outside living amongst it. From your tent you can explore the surrounding fields and woodlands and wonder at the simpler things in life. 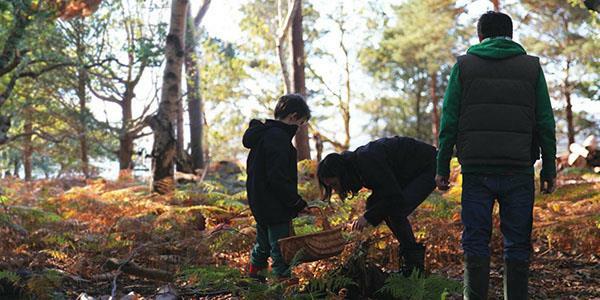 Let children get really inspired by all the natural colours and shapes on the ground and in the trees. Show them how to make a nature collage from all the wonderful things they find. Do you remember countryside walks with your parents; your dad pointing out a certain bird? Visual learning is the best way to do it. Take this opportunity to get children engaging with the world around them. Youngsters really do take more onboard by being hands on; seeing things for themselves. While out walking show them how to identify an oak tree, teach them to recognise the sound of a magpie, point out birds' nests and fox holes. They’ll learn so much from just one holiday, and it will really stick with them. Why not pack a bird book so you can go back over what you’ve seen that day once you return to your tent? You’ve had a busy couple of days, you’ve burnt a lot of energy, and you just feel like having a relaxing day back at base camp. That’s fine and it’s just as important to relax and take it easy on holidays with children as it is to run around having fun. Allow yourself some down time, and if you’re looking to keep young minds occupied show them how to search for shapes in the clouds. Get them to draw what they see. While away relaxing hours just taking in the endless beautiful sky above your tent. It comes alive with the stars at night too - low light pollution means they shine especially brightly while you’re sitting around your fire in the evenings. 10. Don’t forget the marshmallows! 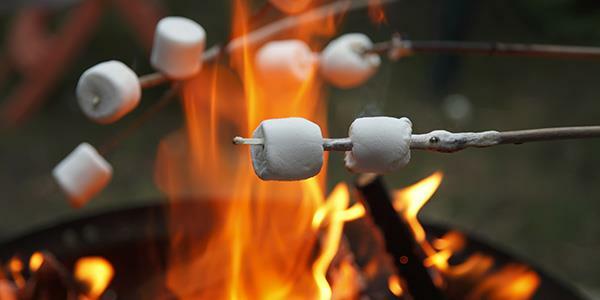 Last but not least, marshmallows are vital for a successful glamping trip – that fire pit isn’t just for telling spooky stories or singing songs around you know. If you’re feeling really adventurous, bring some crackers and chocolate with you to make s’mores. You can even try creating your own version, like this tasty recipe for fruit and s’more cones. Glamping is a fantastic way for your kids to experience the great outdoors with all the creature comforts of home. You don’t have to worry about getting a bad back, packing, putting up and taking down your tent, or walking half a mile to go to the toilet at night. We guarantee it’s a holiday you and your children won’t forget anytime soon.